Domino’s Pizza lovers can rejoice as the pizza brand is now officially on Shopee, the leading e-commerce platform in Southeast Asia and Taiwan. Exclusively for Shopee users only, pizza lovers will get to enjoy tantalising deals that could prove really difficult to say no to. Domino’s Pizza Malaysia first began in 1997 and has expanded its footprint to over 230 stores across the country. It is known for its ultimate pizza experience, offering product satisfaction guarantee, 30-minute delivery guarantee and 15-minute take-away guarantee. Living up to its brand promise of It’s All About You, Domino’s is extending its convenience and exclusive deals to Shopee customers this festive Chinese New Year season. 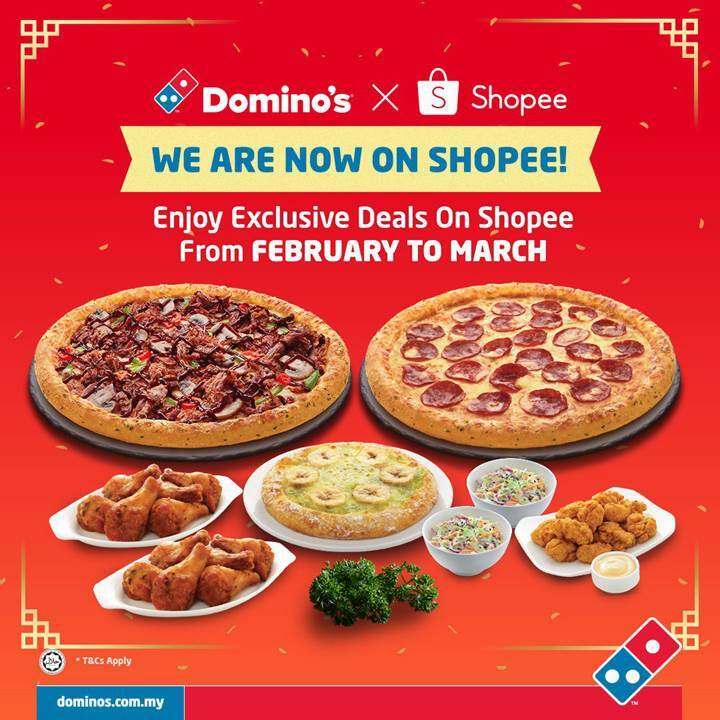 The official store on Shopee will be selling vouchers that carry special promotions so users can purchase the vouchers before using them at Domino’s website or outlet.